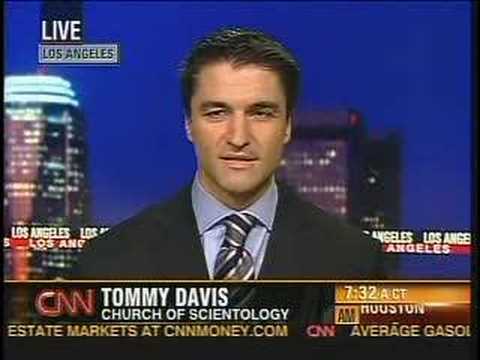 As such, no one in the Church of Scientology would be allowed to have any contact with him — particularly his family. The significance of the tape is that just a year earlier, in May, 2008, Davis had appeared on CNN and declared that such a policy of “disconnection” does not exist — and that critics of the church had fabricated reports of such shunning. It seems Clark was facing the prospect of being declared such a “suppressive person” by the Church of Scientology, carrying with it the prospect of being “disconnected” by his entire family, who are all Scientologists. Indeed, since that meeting, that’s exactly what has happened to Clark, 30. He has been “declared” by the church. His family — his parents, his brother and his sister — have all disconnected from him, cutting him out of their lives entirely. What was Clark’s crime? Secret sin? Heresy? No, he was employed by a man named Marc Headley, a former Scientologist who defected in 2005 and subsequently became an outspoken critic of the organization. According to church doctrine, Scientologists in good standing may not communicate with people who have been declared SPs. To indicate the seriousness of the situation, at the beginning of the meeting, Davis announces that he is going to tape it. “I was going to record this, our conversation. I didn’t know if you were aware of it. For both of our benefit,” Davis can be heard to say.